Trending at $384.99eBay determines this price through a machine learned model of the product's sale prices within the last 90 days. 100% fully functional. There is also a bright white spot on screen. Unlocked for GSM carrier. Storage Capacity 64GB. Model Apple iPad Pro (2nd Generation). Color Rose Gold. Manufacturer Color Rose Gold. Apple iPad Pro 2nd Gen. 64GB, Wi-Fi, 10.5in - Silver (CA). Shipped with USPS Priority Mail. Included are the iPad Pro 10.5 WIFI Cellular, a charging cord and adapter, an already installed tempered glass screen protector with no bubbles and an Incipio Case that folds up to hold the iPad in a good viewing angle. Apple iPad Pro 2nd Gen. 256GB, Wi-Fi, 10.5in - Silver. Condition is New. Sim card is not included. It is HD display screen. This Ipad is in Great condition. The iPad is fully tested and works perfectly. Manual is not included and can be downloaded from Apple website. Space Gray - 12.9" iPad Pro 2nd Gen. 64GB WiFi 4G Cellular Unlocked. Connectivity: WiFi 4G Cellular Unlocked. Storage: 64GB. This iPad will work on any carrier that accepts iPads in the U.S. and Internationally! New ListingApple iPad Pro 64GB, Wi-Fi, 10.5in includes Apple pencil, Apple Accessories. Apple iPad Pro 64GB, Wi-Fi, 10.5in includes Apple pencil, Apple Accessories.. Condition is Used. Shipped with USPS Priority Mail. Selling my iPad so I can study for finals and not playing PubG. Includes an Apple Silicon case, Apple Pencil and an Apple made leather case for the pencil. A carrying bag. Original box and charger. I've had the iPad for a little over a year, it's perfectly functional and barely any scratches cause I always had the case on. The Apple pencil was bought in October 2018 so it's farely new and in great condition. 4.5 out of 5 stars - Apple iPad Pro 64GB, Wi-Fi, 10.5in includes Apple pencil, Apple Accessories. 9 product ratings9 product ratings - Apple iPad Pro 64GB, Wi-Fi, 10.5in includes Apple pencil, Apple Accessories. Trending at $664.95eBay determines this price through a machine learned model of the product's sale prices within the last 90 days. Trending at $666.55eBay determines this price through a machine learned model of the product's sale prices within the last 90 days. 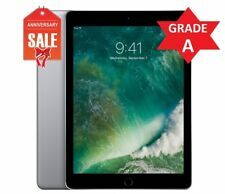 Apple iPad Pro 2nd Gen. 64GB, Wi-Fi, 12.9in - Silver (CA) FREE SHIPPING. Condition is Used. Shipped with USPS Priority Mail. Apple iPad Pro 2nd Gen. 64GB, Wi-Fi, 10.5in - Silver. W/wireless keyboard. Condition is Used. Shipped with USPS Priority Mail. 2nd Gen • 512GB • Space Gray • Wi-Fi Cell. Storage: 512GB. Connectivity: Wi-Fi Cellular [UNLOCKED]. Generation: 2nd Gen.
Trending at $741.66eBay determines this price through a machine learned model of the product's sale prices within the last 90 days. This item includes a USB charging cord and a purple tablet case but does not include other accessories. The tablet is used and in good condition with minor signs of previous use. What is included: 1- Apple iPad Pro 2nd Gen. 64GB, Wi-Fi Cellular (Verizon) 10.5in tablet in Space Gray with the USB charging cord and a purple cover included. Item remains in its original shrink wrap. Apple iPad Pro 2nd Gen. 256GB, Wi-Fi 4G (Verizon), 12.9in. Refurbished Tablet in Very Good condition. You're getting a great device at a great price! USB Charging Cable. The item doesn't include original box. 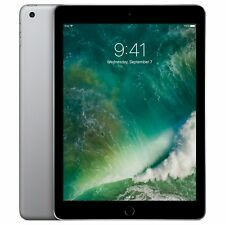 (1) Apple 12.9" iPad Pro 2nd Generation 256GB Wi-Fi Silver ML3T2LL/A. This unit shows moderate signs of use, including scratches on the screen and back casing. Product Features.